Missouri S&T’s Mars Rover Design Team, winner of the 2017 University Rover Challenge (URC), finished second among a field of 36 collegiate teams in this year’s competition, which was won by Poland’s Czestochowa University of Technology. S&T had the top score among the 12 U.S. teams in the competition. The three-day competition was held May 31–June 2 at the Mars Desert Research Station in Hanksville, Utah. The Utah desert is used for the event because it resembles the rocky terrain of Mars. S&T’s rover, named Atlas, is a student-designed and -built rover. 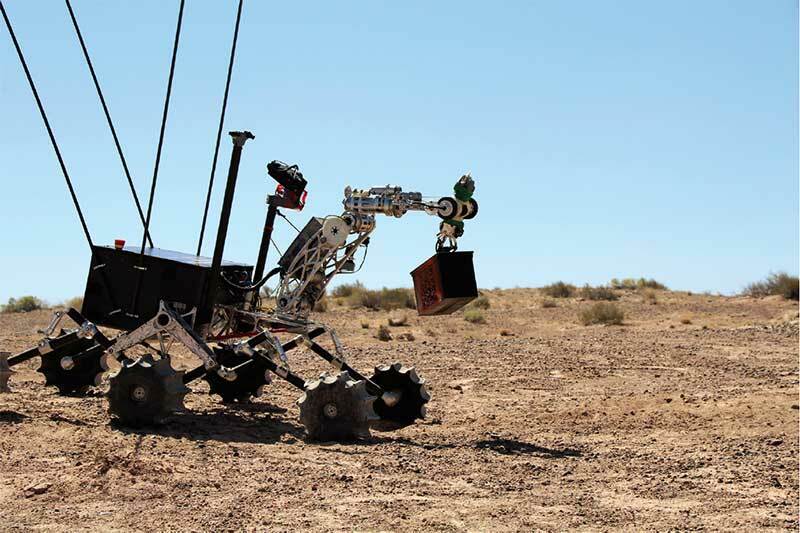 The team developed custom circuitry for the vehicle, machined the aluminum and carbon-fiber support structure, developed durable wheels for terrain mobility, and 3-D printed gears used in the rover.